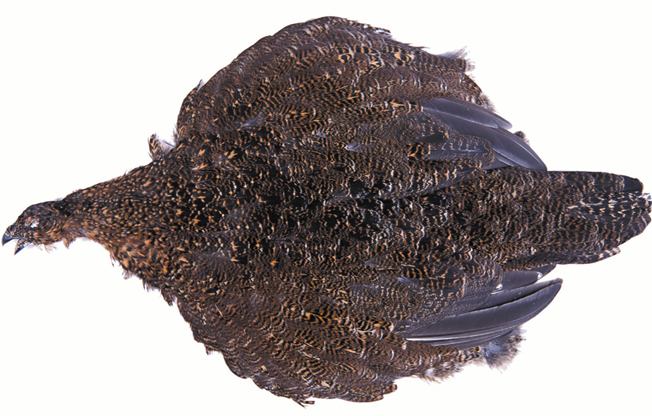 The speckled plumage of the red grouse has many uses for the soft hackle fan & the wings & tail form the basis for the grouse series of wets. The full skin is very useful. This skin comes complete with wings and tail.